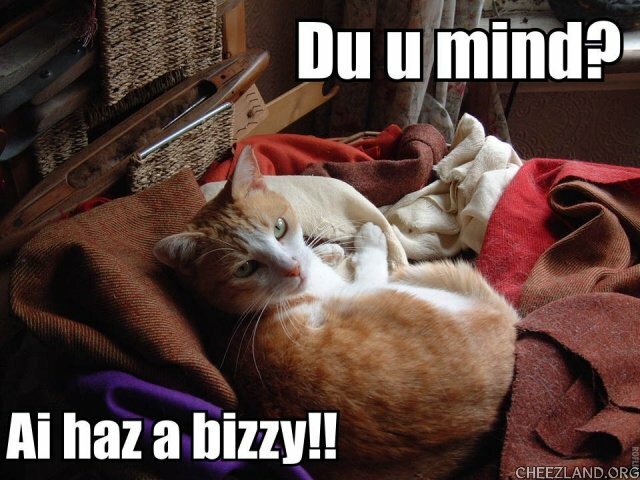 Cat_S sez: Bizzy is [Delilah’s] mum Scraps – a lovely little feral who adopted us nearly 20 years ago! Du Ai innerupt ur naptiem? Um… Ownlee wen Ai need fuds, wadder, owt, in oar pettins! yu inneruptid mai sheap cownting.